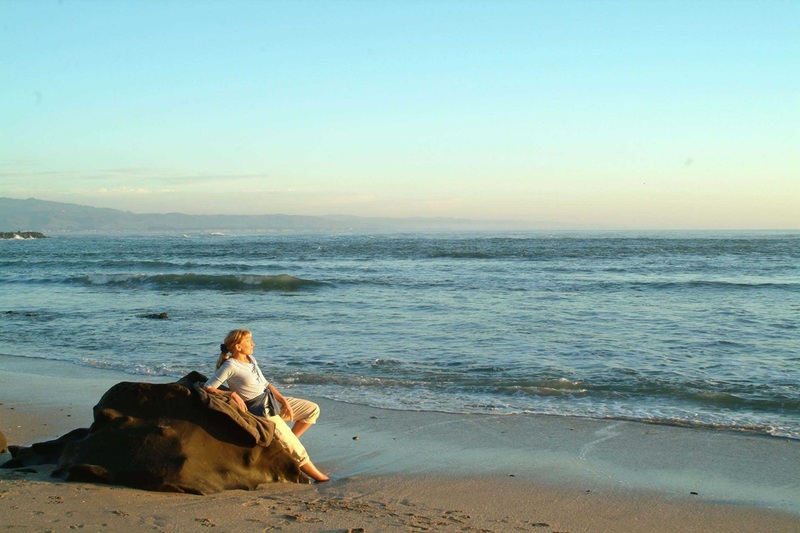 Enjoy a deeply relaxing massage or a Spiritual Companioning session to the sound of the sea with Cheryl Fuller, Licensed Massage Therapist and Certified Spiritual Director. Her spiritual sensitivity makes her practice a unique individualized approach to the whole person... body, mind, soul and spirit. It's not just a massage it's a total experience. Each treatment is customized for the individual. 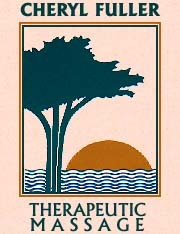 Cheryl was one of the first people to provide Therapeutic Massage on the coast and has pioneered it as a healing art. Part of the therapy is bringing people back to nature in her sheltered seaside cove studio, La Paloma (the dove). Let your body be soothed with luxurious soft linens on a state of the art heated massage table. New Studio photos. Cheryl completed Mercy Centers three-year Spiritual Director's Institute Program. Companionship on one's spiritual journey helping the person to notice and respond to the movement of God in reflective moments and in the events of ordinary life. "The best, most effective kind of love begins with a quiet listening, a touch." "A Day in the Life of California"
A gentle technique of flowing, soothing strokes. A more vigorous technique including deeper tissue and stimulating massage. Application of deep and light pressure of the c﻿omplex nerve endi﻿ng network of the feet. Beginning and intermediate massage for couples or any two people. New larger studio still located at the Cypress Inn. Lovely garden and ocean sound. Tuesday through Saturday ~ Day and Evening Appointments. ​Voted in the top ten on the San Francisco Bay Area A-List! © Copyright 2012 - 2016 Cheryl Fuller. All Rights Reserved.